The alpine environment sets Colorado apart from other states in the Rocky Mountains. Nicknamed "the land above the trees", the alpine is a landscape of resilient flora and fauna, steep rock cliffs, and high winds. The alpine starts above treeline, which in Colorado is at around 11,300', and ends on the summit peaks above 14,000'. The alpine is a land of extremes, and it takes extreme dedication, logistics, and technical skillsets to work in the alpine. 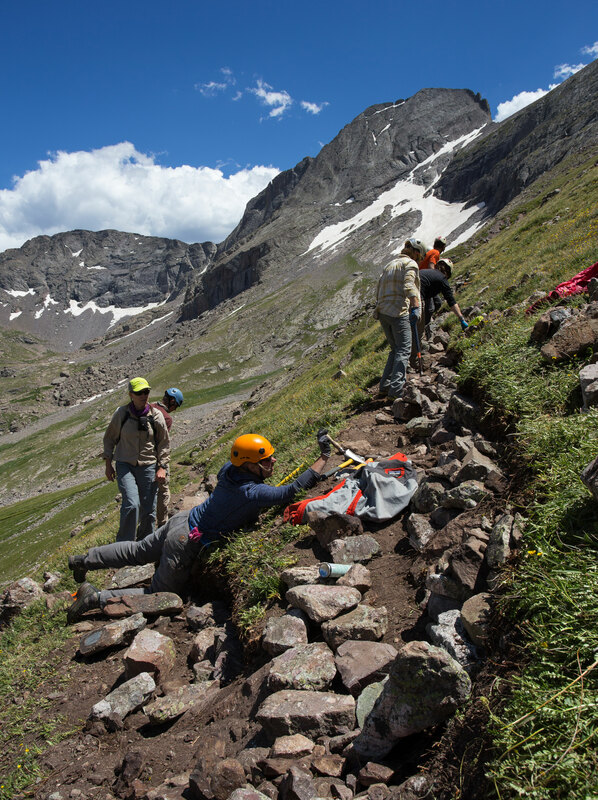 RMFI is one of only a few organizations in the state that completes stewardship work in the alpine, and the organization is considered an expert in alpine restoration. The montane ecozone is found at elevations between 8,000-10,000 feet. As you move higher into the mountains, higher amounts of precipitation and cooler temperatures provide growing conditions for larger trees. Conifers (Ponderosa pine, Douglas fir, blue spruce) tend to dominate the montane, with aspen stands interspersed. 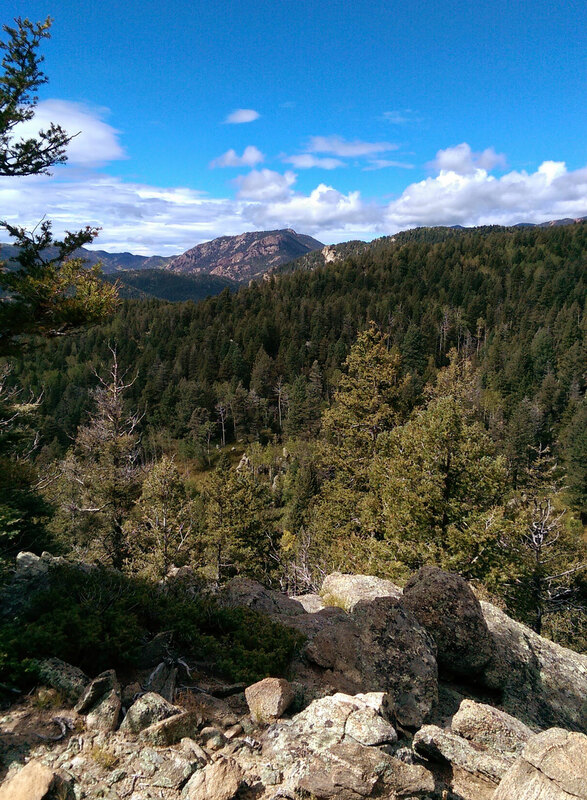 The top of Cheyenne Mountain (9,570') is a perfect example of the montane ecosystem. The foothills are where the prairie meets the mountains. 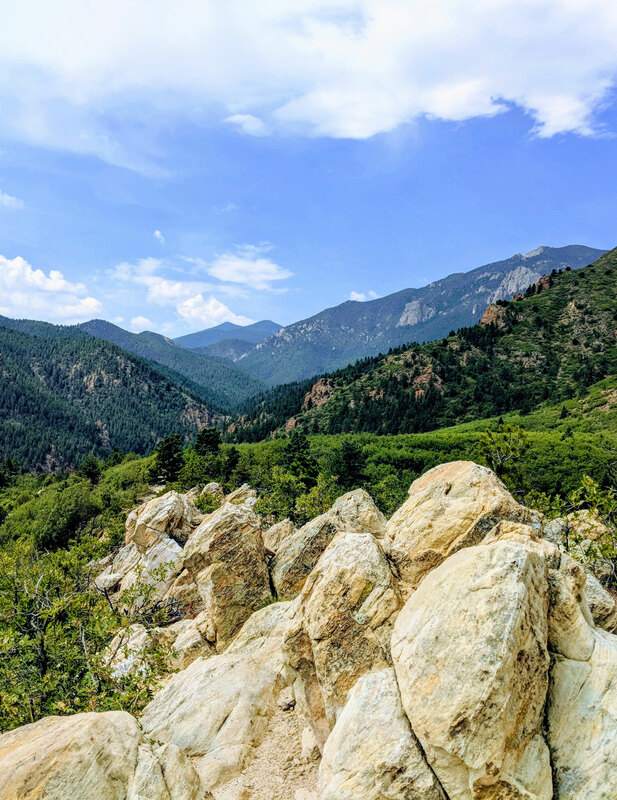 In Colorado, the foothills is found between 6,000 and 8,000 feet. Deciduous shrubs like gambel oak and Mountain mahogany are the most identifiable vegetation int he foothills. Mule deer roam, and scrub jays forage for seeds or campground leftovers. The lowest elevation ecotone that RMFI works in, the desert landscape is stark and full of beauty. Red rocks, whipping wind, succulent plants, and steep cliffs typify the desert ecotone. 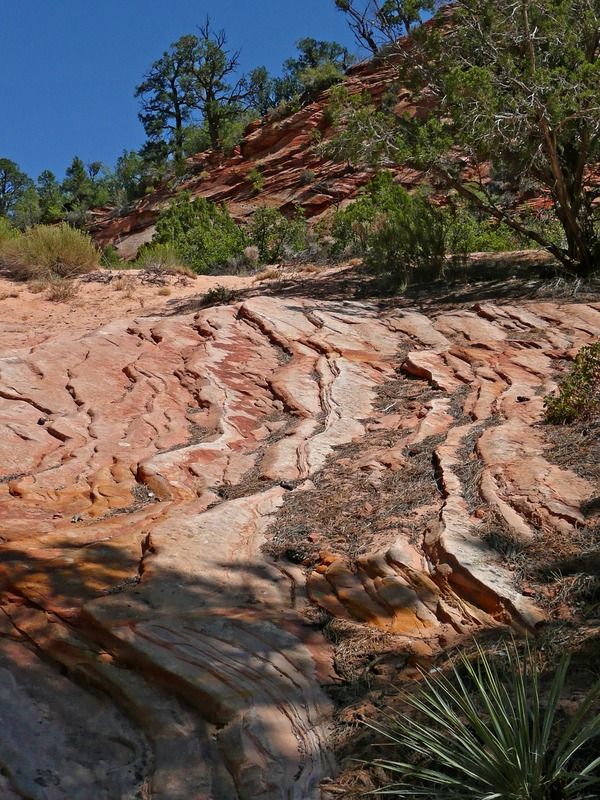 Indian Creek Canyon, a world-renowned climbing area located within the newly designated Bears Ears National Monument in southern Utah, is the only RMFI project in the desert. But RMFI's history here runs deep. View a map of our project locations and dive deeper into the work we do on the ground.